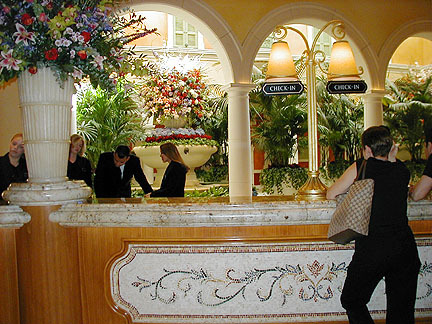 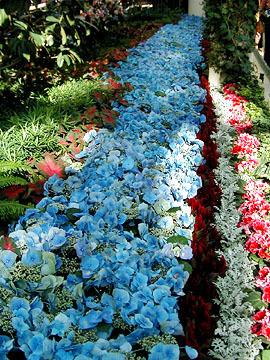 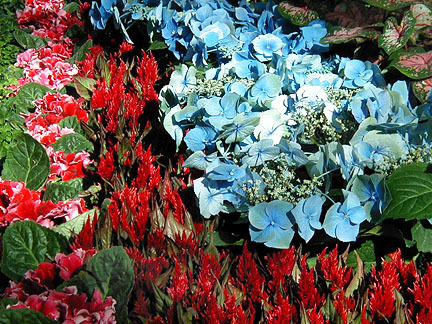 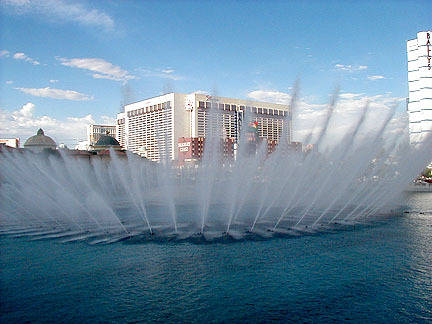 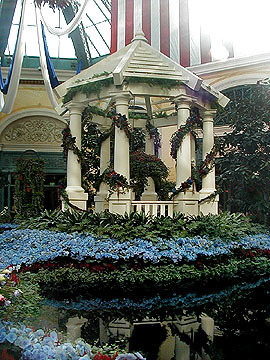 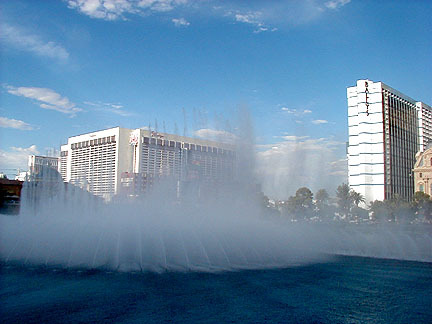 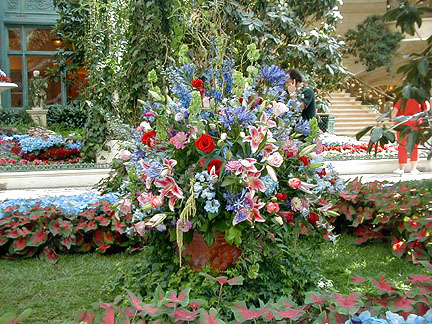 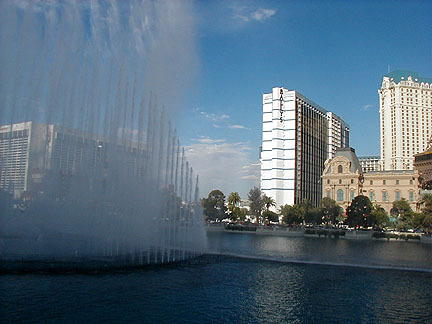 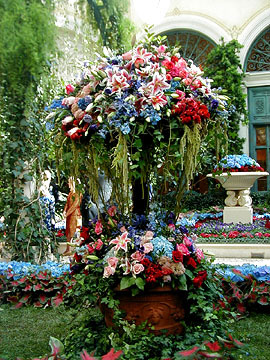 Click to see the Bellagio Hotel's awesome web site. 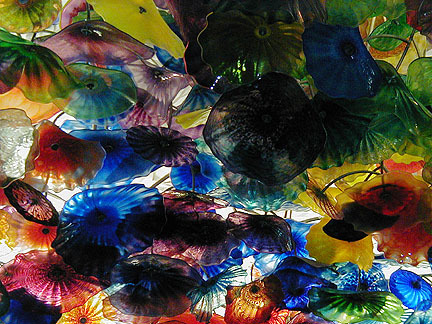 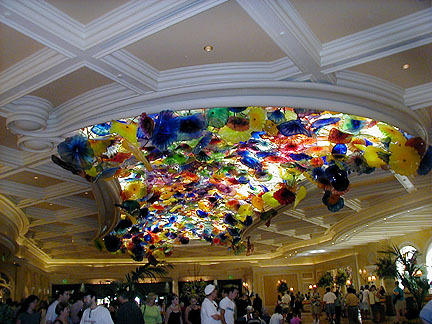 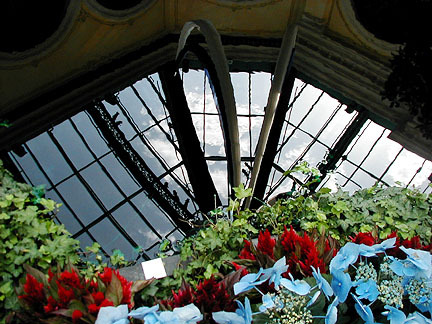 "The ceiling in the Ballagio lobby is adorned in a breathtaking display of 2,000 hand-blown glass flowers - the Fiori di Como, created by world-renowned artist, Dale Chihuly." 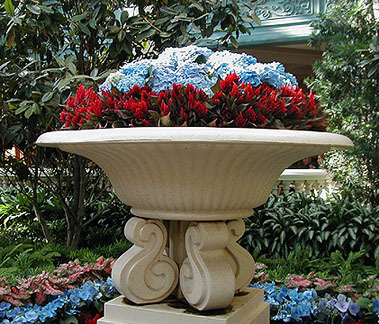 Experience the most ambitious, commanding water feature ever conceived! 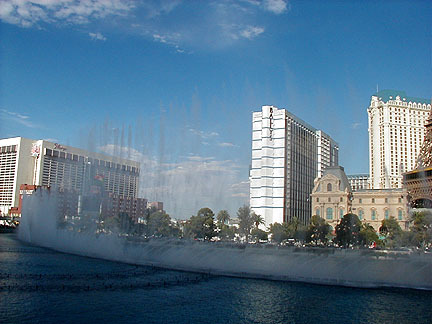 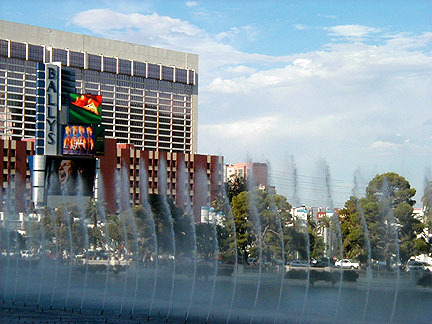 Bellagio's world-famous fountains will speak to your heart with opera, classical and whimsical music while flirting with your playful nature through their carefully choreographed movements. 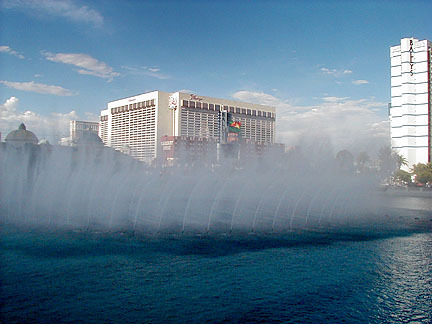 You'll be swept away by this breathtaking union of water, music and light.